Discover three centuries of primary source material documenting extensive developments in gender roles and relations. 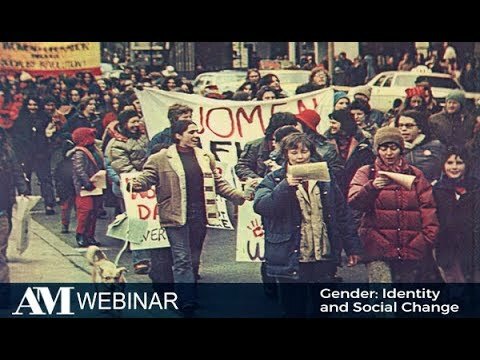 From traditional constructions of femininity and masculinity, to the struggle for women’s rights and the emergence of the men’s movement, Gender: Identity and Social Change offers three centuries of primary source material for the exploration of gender history. Explore records from men’s and women’s organisations, advice literature and etiquette books to reveal developing gender roles and relations. Gain an insight into changing societal expectations about gender roles through personal diaries and correspondence and explore the life and careers of key figures and pioneers in gender history. The papers of Arthur J. Munby (1828-1910), from Trinity College, Cambridge are included, enhanced with Handwritten Text Recognition (HTR). Munby’s fascination with the lives of working-class women are recorded meticulously through his collection of observations, interviews, diaries, photo albums and sketches, gathered from the streets of Victorian Britain. Read more about HTR or watch our demonstration video. Handwritten Text Recognition (HTR) search technology delivering document-level full-text search results across the papers of Arthur J. Munby (1828-1910), view HTR demo.